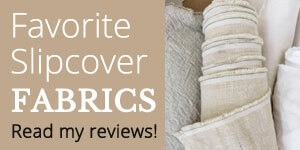 There’s nothing like a Natural color slipcover to give worn furniture an instant update. 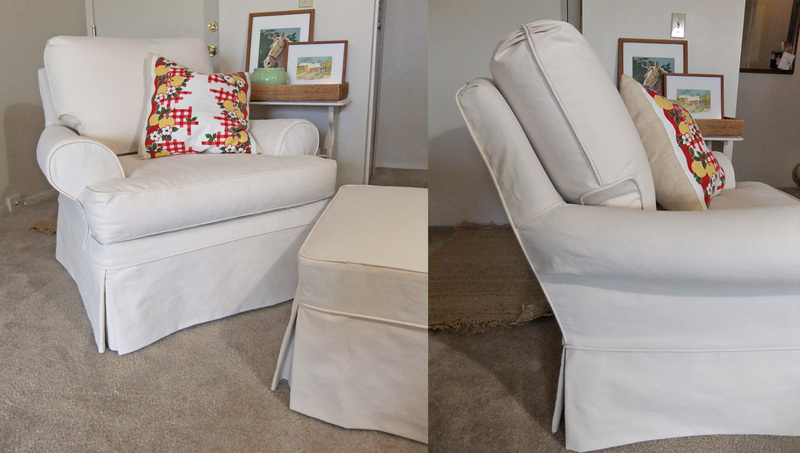 For this slipcover makeover, my customer chose sanded cotton CarrGo Canvas. 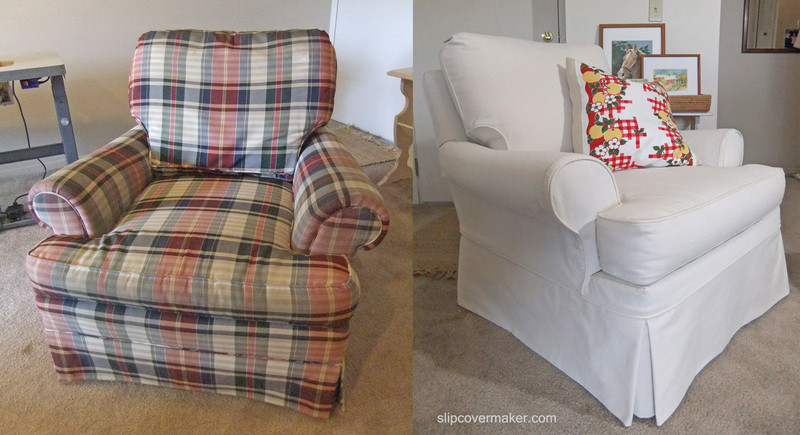 It worked great to hide the outdated plaid on her pair of rolled armchairs and ottoman. Now her furniture has a simple, clean look — perfect for her lakeside cottage. This entry was posted in armchair slipcovers, Uncategorized and tagged CarrGo Canvas, chair slipcovers, natural canvas slipcovers, slipcover maker in Kalamazoo on November 4, 2013 by slipcovermaker. I’m seriously inspired by your work Karen to have my life slip covered :> just wonderful!